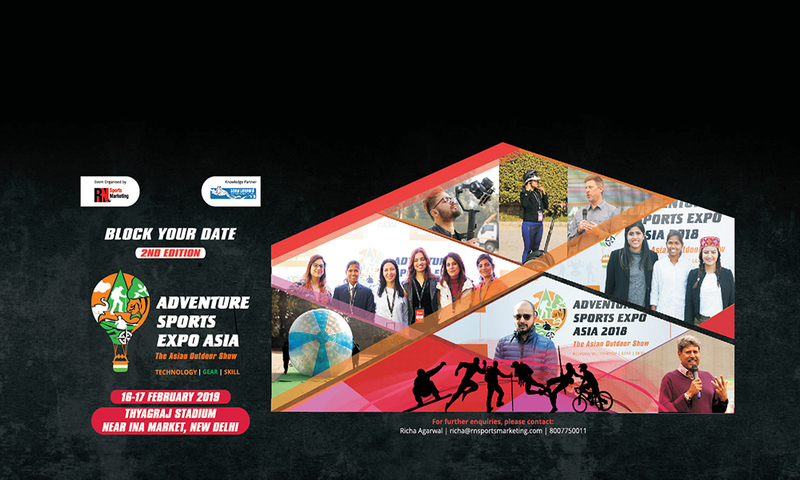 Adventure Sports Expo Asia 2019 will take place at Thyagaraj Stadium Complex, Delhi from 16th February to 17th February 2019. Asia’s first edition of Adventure Sports Expo at Thyagaraj Stadium, New Delhi from 16th to 18th February 2019. This 3-day event is a great opportunity to enhance the customer relationship with clients in India and around the world. You can meet your distributors, Institutional Buyers, Tour and Camp Operators, Training and Certification Institutes. For more information drop a mail at kk@adventureexpoasia.com or contact on 91-124-2841370. Let’s Start Our Adventure Here!!!! !